Located on the Caribbean Coast, Tulum is one of Mexico’s must-see places on the Yucatan Peninsula. Its crystal blue waters and picture-perfect views join hands with a cool sort of bohemian vibe to create an unforgettable destination that delights the senses and feeds the soul. Previously a fishing village, this town has transformed into an upscale, upcycled, eco-chic hideout with plenty of awesome things to do in Tulum. We were wrapping up our massive road trip of Mexico, culminating in the state of Quintana Roo where we spent weeks enjoying Cancun, Cozumel, Playa del Carmen, and everything in between. Tulum was like a nice little way to wrap up our stay in Mexico before we continued the drive into Belize and beyond. Thankfully we got the chance to explore Tulum before a big tropical storm hit and forced us to hunker down in Chetumal for a few days. 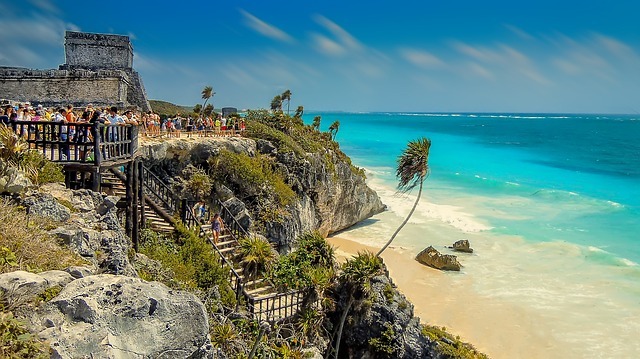 Before we cover the best things to do in Tulum Mexico, let’s get our bearings with a little more about the town which should help you plan your stay and understand the lay of the land. First and foremost, you should realize that Tulum is really kind of separated into two different parts that are somewhat far from one another. First, there is Tulum town, like the actual little pueblo where people live, and then there is the main touristic stretch of Tulum that runs along a long road near the beach. This main road splits the touristy part of Tulum in half, one side offers beachy views, and the other is shrouded in jungle growth. It is this charming and rustic part of Tulum that holds the most appeal for visiting foreigners, but you can also stay in the Tulum town, as well. That’s what we did, anyway, since the prices were more affordable. 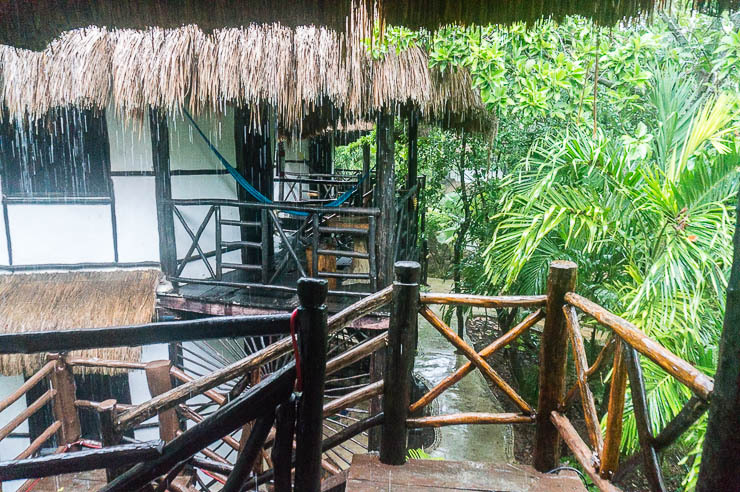 We stayed in some cool jungle cabanas at Green Tulum at the edge of town for just about $20 per night (400 pesos) and since we were on the second story, it felt a bit like a jungle treehouse. 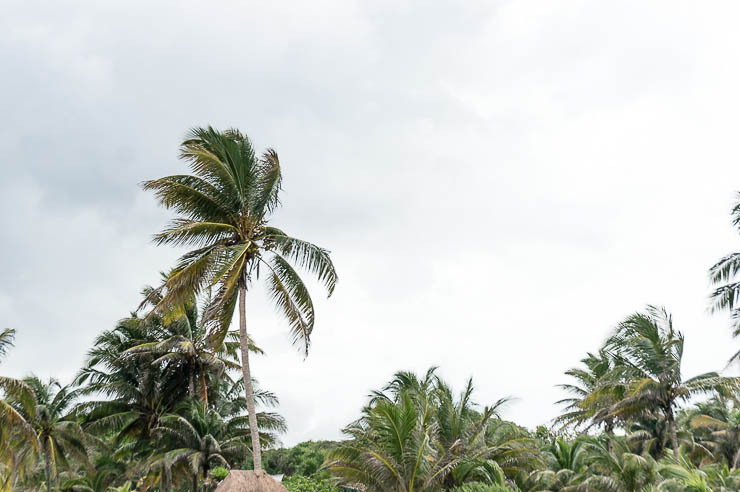 Anyways, whether you want to sip local kombucha, explore the jungle, or soak up the rejuvenating warmth and sunlight, Tulum will have you longing to come back year after year. While you are there, here are the coolest things to do to get the full Tulum experience. Tulum really is the perfect place for the ultimate tropical getaway. It’s got the heat, the jungle, the beach, historic ruins, and a cool vibe all in one gorgeous destination. There are a few things you don’t want to miss out on when you visit this slice of heaven on Mexico’s Yucatán Peninsula. Tulum is famous for its numerous beautiful beaches, but Playa Paraiso takes the cake. It’s one of Tulum’s best free beaches with easy public access; all you have to do is show up in your swimsuit! This beach is renowned for its snow-white sand and vibrant waters. 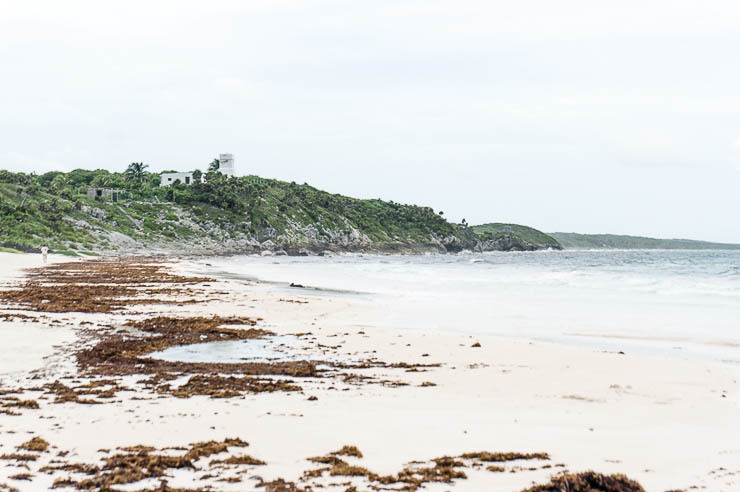 You can basically divide the Tulum beaches into two sections, the northern beaches (heading north on the access road from Tulum town) that are just south of the Tulum Ruins and the southern beaches which lie south of that access road. The northern beaches are the best, in my opinion, because they aren’t so overdeveloped like those on the southern side. Here public access is still a priority and you can find numerous access points at places like Playa Paraiso, Playa Santa Fe, etc. The southside has been mostly filled with restaurants, lodging, etc, making it not so friendly in terms of access. Of course, even at the free beaches on the north side, you should still expect to pay if you want a beach chair or want access to a bathroom, but that’s just life. Atop a cliff that looks out over another gorgeous beach sits the Mayan ruins of Tulum. The best time to visit the ruins sans tourists is early in the morning, so be sure to get in line before the site opens at 8 am. With the growing popularity of Tulum, the ruins themselves are becoming ever more popular, so don’t expect to be alone here. The ruins are one of the best preserved Mayan coastal ruins out there, but the real magic here is having the ruins set against the backdrop of beautiful blue water on the cliffside with palm trees swaying overhead. I’d advise against paying a local tour guide and just meandering around on your own through the site. Just be sure to bring plenty of water and sunscreen for the day! The best part? It costs less than four dollars to tour the ruins. Eating out in the hippie-chic retreat of Tulum can be expensive thanks to the growing popularity of the place. So if you are looking for a budget-friendly dining option that will fill your stomach and warm your heart, look no further than Burrito Amor. For just five bucks, you can get almost anything on their mouth-watering menu, making it one of the least expensive places to chow down in Tulum. If you are looking for a day trip just outside of Tulum, sign up for a tour to the Sian Ka’an Biosphere. From sparkling waters to endless species of animal and plant life, you will feel one with nature after spending the day at the Biosphere. Since we had our own wheels, we were able to explore the area on our own which was quite awesome as we headed deep into the reserve. There are some hidden gem beaches here, of course, but you’ll have to find them yourself — that’s part of the fun! 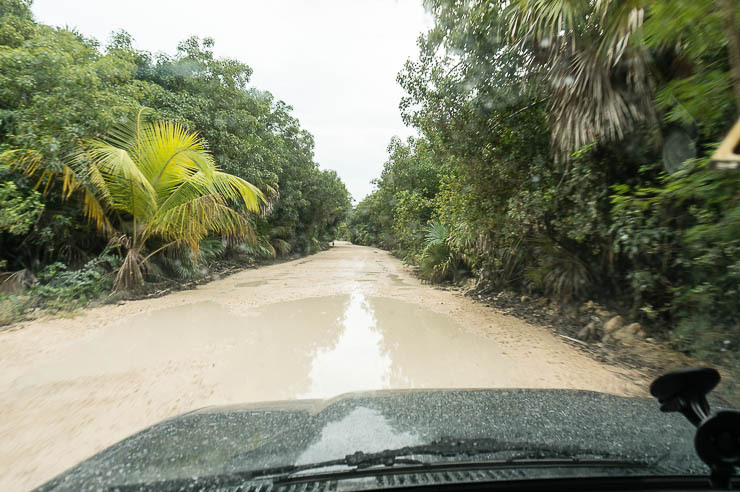 You can definitely explore the area on your own, but you should make sure that the vehicle has a high clearance as the road can be quite pothole filled and rough at times. Book your tour of Sian Ka’an Now. What’s Mexico without mojitos? Batey, a hole in the wall mojito bar, has earned its fame as one of the best spots in Tulum to experience the nightlife. If you are traveling on a budget, Batey is definitely the place to splurge. The mojitos are made with sugarcane pressed right before your very eyes and the live music is always amazing. It’s the number one place to go for a good time! Just nine kilometers from Tulum lies Laguna de Kaan Luum. Home to an underground spring, this Lagoon is wildly colorful. The cenote produces mud that is known to have healing powers. Many people like to take mud baths here, a relaxing, spa-like experience that won’t rob you blind. This place is becoming more popular but it is still a relatively hidden gem compared to many of the other places that surround Tulum. While climbing is off limits at the popular Chichen Itza, scaling the steps of the ancient Coba ruins is still fair game! After a bike ride through the jungle, you will reach the less well-known Coba pyramid. The view at the top of the 120-step climb makes it worth the effort. Thanks to its more remote location, the Coba ruins receive far fewer people than Chichen Itza or the Tulum ruins mentioned earlier, making it a great option for those who like a little more solitude or reflection and less selfie-stick wielding tourists. The entrance fee to Coba is quite cheap at about $4. Tulum’s beaches can be overwhelmingly breezy sometimes. While this causes your beach towel and things to go flying, it makes for a great kitesurfing environment. The southern beach of Tulum hosts a slew of kitesurfing operators that can teach you the sport at a reasonable price. Who needs the gym when you can go fly a kite? Cold brew coffee has been gaining popularity in the United States, but it is a local mainstay in Tulum. Chale cold brew can be found at almost any coffee joint in the area; be sure to grab a cup or five while you are in town! It won’t disappoint. I love a good cold brew in the afternoon while in hot climates like the Yucatan. Otherwise, in the mornings we still would always brew up some fresh Aeropress coffee, which is the best travel coffee maker, in my opinion. Getting around Tulum is one of the destination’s only downfalls since things are quite spread out. But, instead of taking the taxi every time you need to get from town to the beaches, rent a bike instead. It’s more affordable, more fun, and you will get to the experience the sights, smells, and sounds of Tulum on your commutes. After a while, you may start to feel like one of the locals. It is probably the best way to get around Tulum and thanks to the relative tranquility here, you don’t need to be so worried about getting running off the road by vehicles like in other tourist towns where you rent bikes. 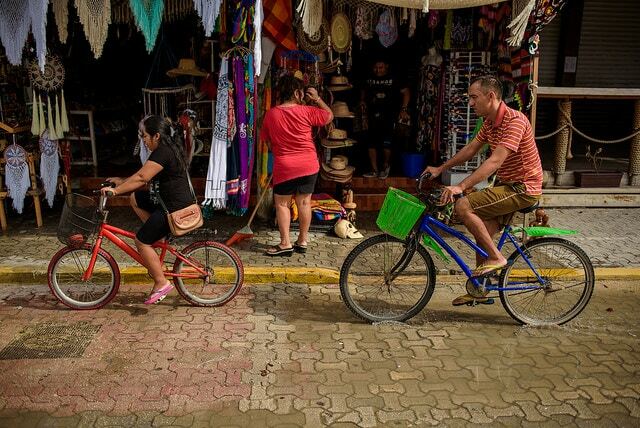 Check out the Classic Tulum Bike Tour as well. If you haven’t heard, the Yucatan Peninsula is dotted with thousands of cenotes which are basically water-filled sinkholes formed when the roof of an underground cave collapses. It can be tough to choose which cenote to visit, but one great one is the Cenote Caracol which are the otherworldly adventure caves that lie a few miles from Tulum. Shimmering pools create mirror images of the graceful formations hanging above. Not many people know about this treasure, so you don’t have to worry about the crowds. If you are traveling on a budget, the entrance fee can be a bit high, but it is well worth the visit if you decide to make it one of your splurges. Or you can combine the bikes with a cenote tour for a fun and interesting day out. What’s traveling without taking at least one cheesy photo? 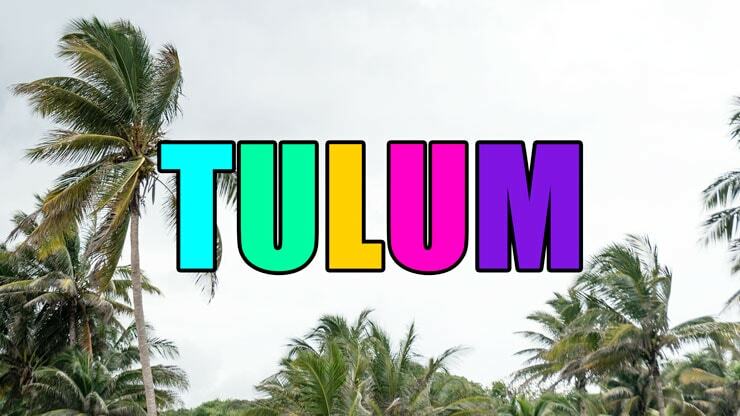 Stop by the Tulum sign for a quick, colorful photo for the books. Why does it make the cut as one of the coolest things to do in Tulum? Surprisingly, it is one of the town’s most popular activities and makes for a great photo to take home with you (or send back home while you’re there to make your friends jealous, ha). It really embodies the fun-loving, carefree spirit of Tulum. You can find the colorful and touristy sign in the main square back in Tulum town, so don’t miss out if you head into town to explore. Italy isn’t the only place with perfect gelato worth breaking your diet for. Origami Gelato in Tulum will serve you a scoop that rivals even the best gelato in all of Italia — believe me, I’m a self-proclaimed expert in Italian gelato after having eaten the stuff nearly every day while living in Florence, Italy, haha. I love gelato and it makes a great treat after filling up on tacos and burritos, just as much as it does after eating a big plate of pasta. Plus getting some cool, refreshing gelato on a hot and humid day is just about the best thing ever… Don’t miss out! From the lush jungles and sunny beaches to the tasty culinary spots that cover the area, Tulum is a must-visit destination in Mexico. There are tons of cool things to do in Tulum, but the main things are just to relax on the beach, ride your bike, and fill your soul and your belly in this tropical paradise on the Yucatán Peninsula. It’s a place to disconnect first, then reconnect with a simpler more carefree and laidback lifestyle that you can enjoy while tucked into nature or beside some of the most beautiful beaches in the world. Traveling to Tulum? Be sure to book your room via Booking.com now to save. And don’t forget to purchase travel insurance for Mexico to protect yourself against injury, illness, and theft. I use and recommend World Nomads. 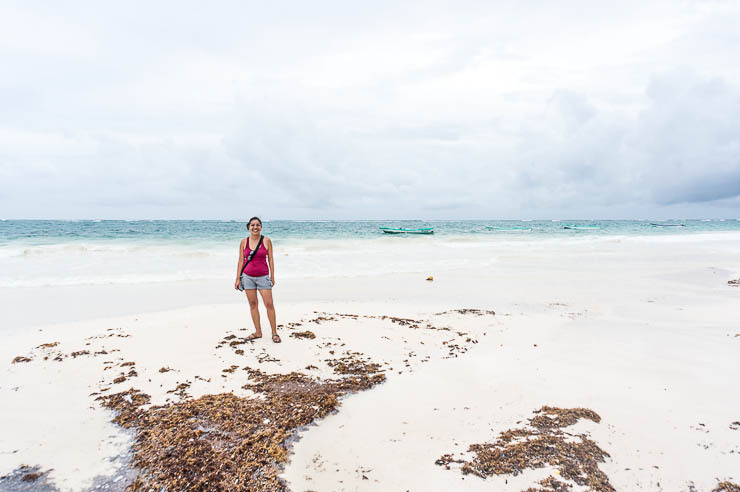 Did you enjoy this post about the coolest things to do in Tulum Mexico? Take a second to share it on Pinterest, Facebook, or Twitter. Thanks!